IsoBots & IsoSpace was my master's thesis in visual arts. While it is a long time ago, it still carries a special place in my heart. The project involves a non-lineair, procedural game world called the IsoSpace. The world consisted out a huge amount of procedurally generated rooms, that shift relative positions to each other over time. 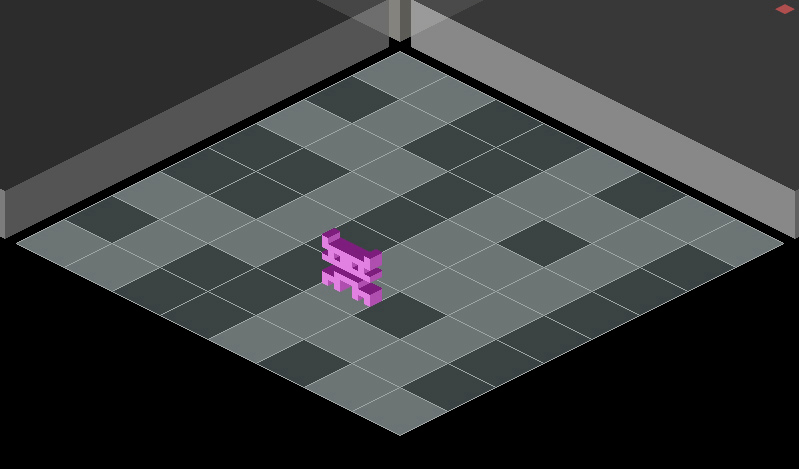 Inside these rooms lived the IsoBots, 8 x 8 3D pixel characters that were also procedurally generated. IsoBattle was a one on one bomberman type of battle game, with special moves and destructible characters. 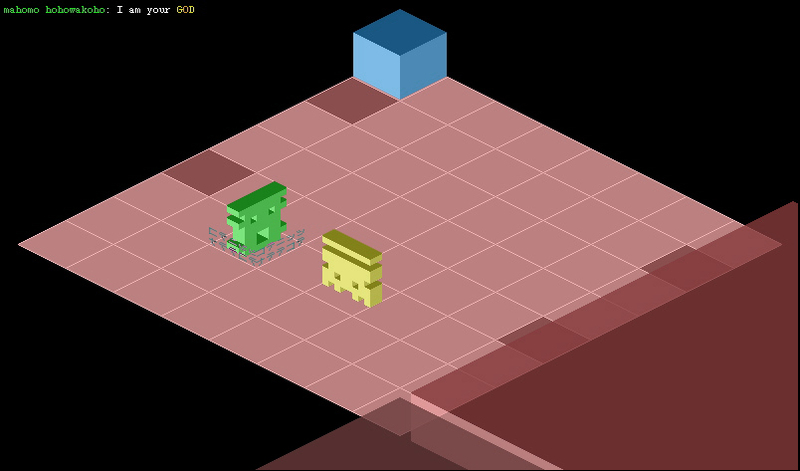 A unique feature of the game, was that the walkable tiles in the battle room corresponded with the combined pattern of both IsoBots. Keeping in mind that hurting your opponent caused him to lose parts of his body (or 8 x 8 pattern for that matter), players needed to make sure that the floor beneath them would not collapse as they would pummel each other. IsoPuzzle was a one player maze game. Every room was given a color that indicated its relative position in the IsoSpace, with the primary colors being on the corners of the IsoSpace. 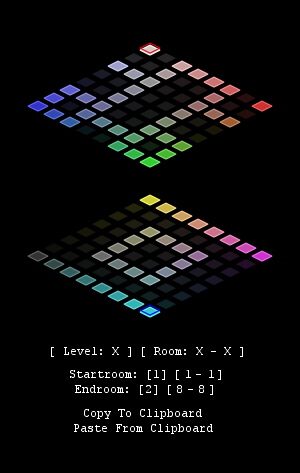 As a result, players needed to navigate themselves using their knowledge of color theory. This might not seem to hard to do, but roomless spaces in the IsoSpace along with moving rooms added a layer of complexity that made this idea into a challenging game. IsoVirus was the one game I did not complete for the master's thesis as it was simply too big for me to program in the three months that I had to work on this project. The game combined elements from both IsoBattle and IsoPuzzle and it mixed everything into a three to eight player online game. 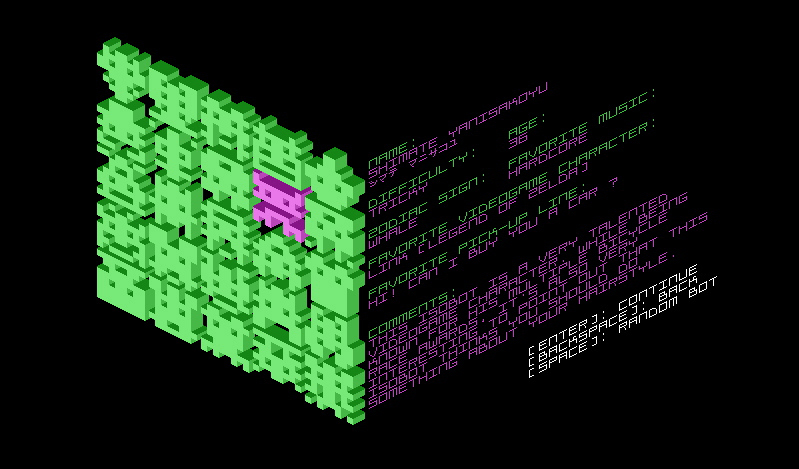 In this game, the IsoSpace was being corrupted by a virus, which was controlled by one of the eight players. The virus had to destroy the IsoSpace while not getting caught by the other seven players. 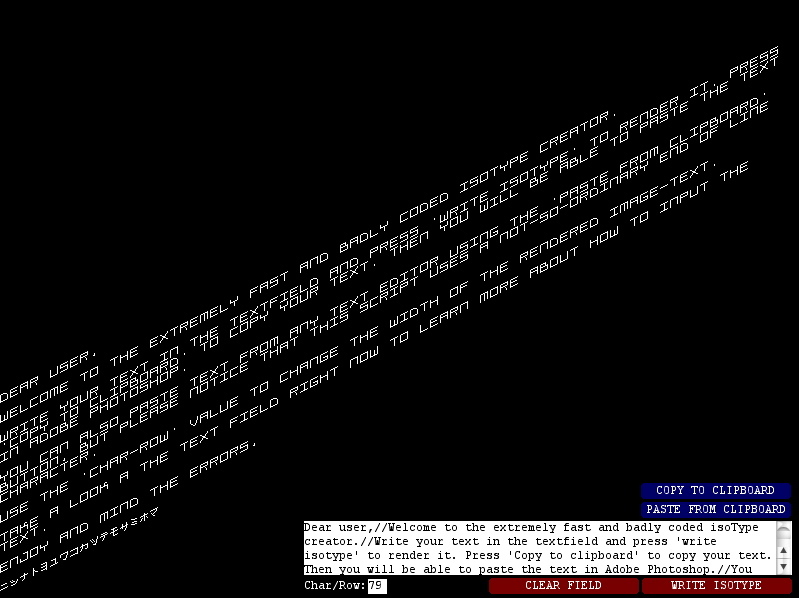 One of the neat features I was trying to implement in this idea as well, was to fill the IsoSpace with imagery and text that was found on the computer system the game was played on. In doing so, I was attempting to have players perceive the game world as something familiar, even their own computer, that was being attacked. I still have my all my files to this project, but I do not have a working Mac OS X system with Adobe Director on it. Unfortunately, the few pictures on these pages are all what remains from the project.